Birthdays, Christmas and Easter are just some of the events that need great corporate gift ideas. At Just in Time Gourmet, you can create your own personalised hamper for any business event, with thousands of unique possibilities. When you’re ready to purchase your hamper or if you want to check the items inside, simply click on the ‘my order’ button at the top of the page. Customised corporate gift hampers are the best way to promote your business, Introducing your business to new clients or impressing existing ones. Check out these nine corporate gift ideas which are perfect for your next business event. Forget the supermarket cake, show your employees you really care and celebrate their birthday with their very own birthday hamper. Your customised hamper is sure to impress and will let staff know that your business does things differently. 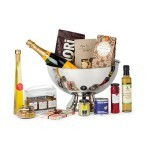 If an employee has gone above and beyond at work, why not acknowledge them with their very own hamper? Rewarding hardworking employees can motivate them to keep it up and let them know that their effort is appreciated. 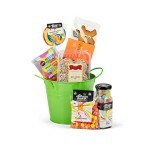 Their amazing hamper is sure to get others talking and aiming higher too. Celebrate new business partners or show existing ones they are important with a hamper full of the best that WA business has to offer. Wines, preserves and condiments will make a welcome addition to their company kitchen, while showcasing your commitment to local business. 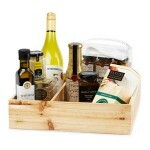 For your existing clients or for ones you’ve just met, this hamper will be a great start to business. 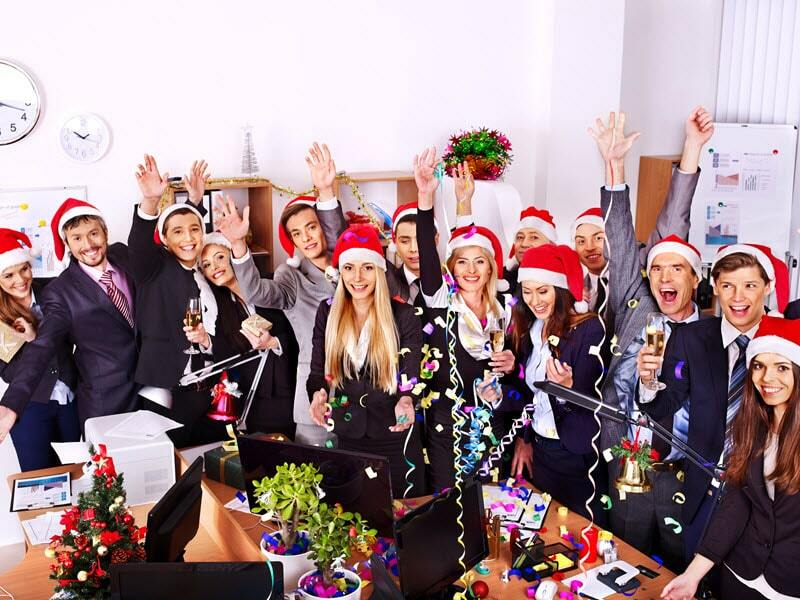 Getting employee’s excited for mandatory team building events can be difficult. The solution? A fantastic customised hamper for the individual or team that show the best results! Your hamper can be a great feature prize on offer to keep employees working together with their eye on the goal. Whether an employee is reaching retirement age or leaving after years of service, it’s important to see them off properly. Farewelling your staff member with their own personalised hamper will let them know you care and will be a great reminder in their future travels. 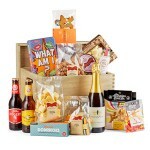 There’s no better way to welcome a new employee than with a customised hamper. This hamper can be packed with supplies to help them through their first few weeks and will let them know they are being looked out for. If you’re holding a company event such as a dinner, a customised hamper can make the perfect raffle or door prize. Raffle tickets can be provided for free along with ticket purchases, encouraging employees to join in with company events and get in on the fun. A customised gift hamper can be the perfect addition to your networking event and will make a great first impression. 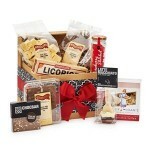 Your hampers can be large or small and will get people excited about your business and brand. You can also customise your hamper to tie into your business’ theme and colours to give a lasting impression. Whether it’s a surprise gift for your staff before Christmas or a chocolate filled Easter basket for a new client, there are plenty of great seasonal items to include in your hampers. Christmas and Easter are the best times for gift giving and will leave your staff and clients with great memories after their break. 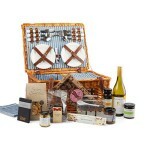 We offer free Perth metro delivery for corporate hamper orders. We’ll make sure your items are wrapped and beautifully presented and can include your business’ contact details inside as well. Where possible, Just In Time Gourmet can customise your corporate hamper orders to suit your business branding. 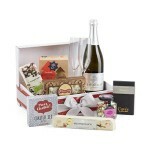 Corporate clients can provide their own cards for inclusion with the hampers. Alternatively, Just In Time Gourmet have cards which can include your message and business logo. All special requests will be considered. Contact one of our friendly team members for more information today.